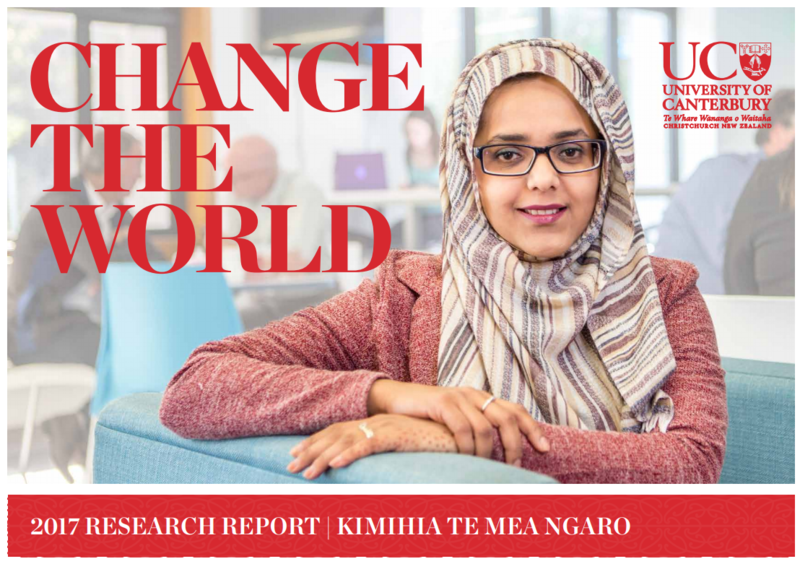 UC is well known for its research reputation, and the excellence and quality of UC’s research is showcased in the annual Research Report | Kimihia Te Mea Ngaro. Although only a small selection, the excellence and quality of UC’s research can be seen through research stories gathered from our activities during the 2017 year, with an emphasis on the work of our doctoral students, the support and collaboration they have with their supervisors, and how this world-class learning environment contributes to their success. Showcased on the cover of the 2017 Research Report is fourth-year doctoral student Rabia Ijaz, who interviewed representatives from over 30 small-to-medium enterprises in the Greater Christchurch area to find out more about their experiences following the Canterbury earthquakes. For all this and much more, read the 2017 Research Report here. 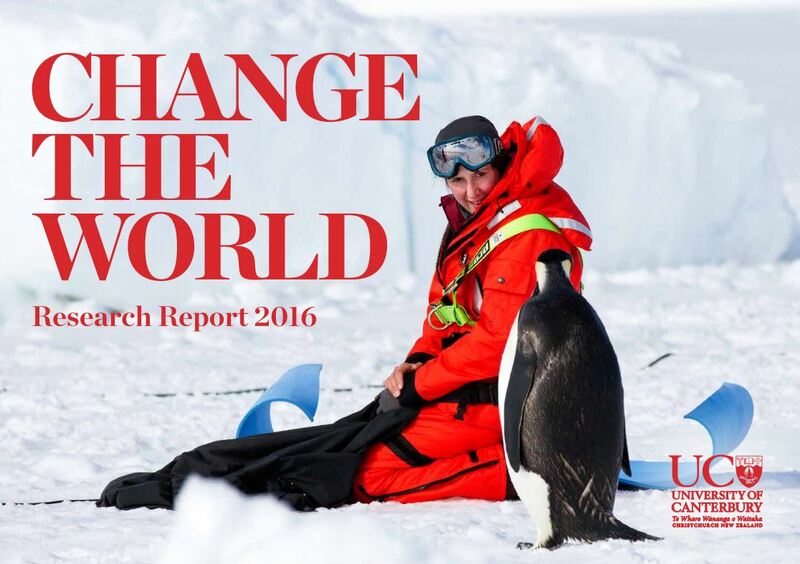 Research Report: Change the World, our annual celebration of UC research, has been published by Research & Innovation and is now available online and in print. The theme of the 2016 report is Collaborative Partnerships – Local, Regional and International. Change the World demonstrates the breadth of UC’s research with a selection of stories from across the extensive range of disciplines in our university. The collaborative theme was chosen to illustrate our deliberate approach to partner with peer international and Aotearoa New Zealand researchers to make the most significant research advances, and with non-university stakeholders to maximise the benefit for the nation. The report also celebrates the achievements and national and international recognition of our leading researchers. Hard copies of the report can be requested from R&I, please contact kerin.houston@canterbury.ac.nz. For those wishing to further explore UC’s research contributions in a particular area, Research & Innovation has introduced a new research outputs reporting tool on the website, rather than producing a static report of outputs. Users can report on outputs by year and by department (and can select multiple departments if they want) and choose to have the report as a formatted PDF or an XLS download.